Since childhood, the biography of young Danielle Campbell has been inexorably associated with the cinema. Having appeared on the TV screen at a tender age, the girl attracted the attention of producers and won the affection of fans. 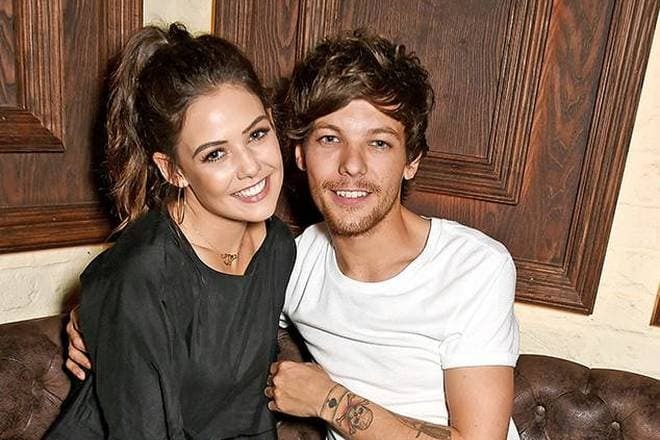 The pretty beautiful lady became the object of envy to fans of famous singer Louis Tomlinson when she was in a relationship with this heartbreaker. Danielle was born on January 30, 1995, under the Aquarius sign. The little star of television series was born in Hinsdale, Illinois, to Georganne and John Campbell. The actress’s parents managed real estate funds. For a while, the small girl lived in Singapore, where the family couple had to relocate for work. The couple also brought up a younger son, Johnny. The children have always been on friendly terms, and they still have a close relationship. In an interview, the mother of the actress who became famous at an early age said that the girl managed to continue her studies in high school. According to the parents, the personal privacy of a teenager and the opportunity to study at school are very important. They also asked the reporters not to tell the name of the daughter’s school to avoid the prying eyes. The story of the young actress’s childhood is not complete without mentioning the beginning of her stellar career. When the girl was 11 years old, she and her mother visited a beauty salon, where the woman had her hair cut. Danielle was bored waiting for her mother, but she accidentally met an agent looking for new actors to participate in the company's projects. At first, the woman did not hope that the agent would call back, but the very next day the girl was officially invited to an audition. Danielle distinguished herself with excellent acting skills and loved to be in the spotlight. The easy going, open, uninhibited child won the hearts of producers and got on TV. The young actress could participate in the first prominent and successful TV project in 2006. The girl appeared as Gracey Hollander, the heroine of the acclaimed TV series Prison Break. The multi-part thriller became famous and received positive reviews of fans. Directors and producers noticed Danielle after appearing in four episodes. In 2007, the actress got the role of Darla in the movie The Poker House. At the beginning of the 2000s, dozens of young talented actors started an acting career in the Disney company, which shot teen television series and films. This talent-factory became a starting point for stars such as Miley Cyrus, Selena Gomez, and others. Danielle followed the beaten path. Having got a bit part in the teen comedy series Zeke and Luther, the actress played the title character in the 2010 musical family movie Starstruck. After the shooting, the young star signed a development deal with Disney. The role of Jessica Olson who fell in love with the famous guy made Campbell famous and popular with teenagers. In 2011, the comedy Prom was released immediately after the project mentioned above. It had the same genre and style as Starstruck. In 2012, Danielle filmed in the TV series Drop Dead Diva and Madea's Witness Protection. The beautiful young lady experienced the next wave of popularity after the role of the bold and attractive witch Davina Claire in The Originals, the spin-off of the series The Vampire Diaries. They started shooting the story of life and love of charming supernatural beings in 2013. Having won the hearts of viewers, the series was renewed for five seasons. In 2016-2017, besides hard work on the next seasons of the television series, the celebrity could star in the films Race to Redemption and F the Prom. 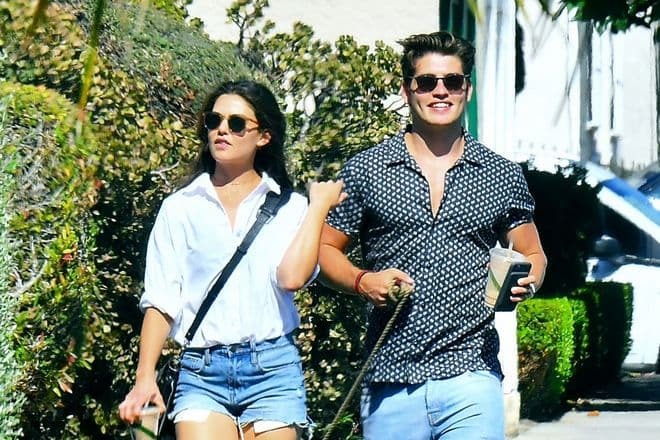 In 2015, the female fans of One Direction, namely singer Louis Tomlinson, were disappointed when the official information appeared on the Internet that their idol was dating the charming young actress, Danielle Campbell. The couple did not hide their warm feelings; they went for a walk holding hands, embracing in public and not fearing paparazzi. However, in January 2017, joint photos disappeared from the Instagram pages of the celebrities, and fans became aware of the breakup of the lovers. Thousands of female admirers of the singer did not hide their joy; many memes appeared on social media, demonstrating their sincere happiness and relief. Meanwhile, the young people and their close friends said that they were on friendly terms, continued to communicate and support each other. Danielle has not told about her relationships with other men since, and there is no official confirmation of her love affairs. There were rumors that the beautiful lady was on a date with actor Gregg Sulkin, but they did not comment on it. It is known that Campbell loves animals and participates in their protection. The actress is happy to have four dogs which photos periodically appear on her Instagram page. Besides, the actress owns a beauty salon. Of course, the energetic and enterprising American woman is very busy, so she probably does not have time for a romantic relationship. In 2017, Danielle Campbell got roles in the acclaimed TV series Famous in Love and Runaways, showing the children of the super-villains. The stories immediately attracted thousands of loyal fans. It is not surprising that the series were renewed for the following seasons. In 2018, the final fifth season of The Originals was announced to be released. It is evident that the young actress has enough work to keep her busy. Old heroes help to develop the storylines, and new characters appear annually in them.